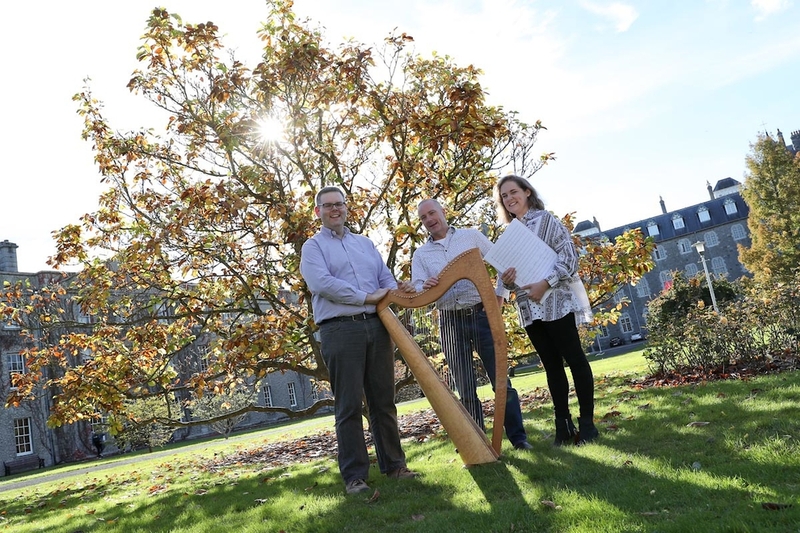 Maynooth based composer Ryan Molloy has been award €10,000 by RTÉ lyric fm to write a concerto for Irish harp and orchestra celebrating the station’s 20th birthday. It will be premiered by world renowned harper Máire Ní Chathasaigh and the RTÉ National Symphony Orchestra conducted by Gavin Maloney, at a gala concert in the National Concert Hall on 1st May 2019. Composers Katie Neville and Elliot Murphy have also been awarded €2,000 each to write works for the RTÉ Philharmonic Choir and the RTÉ National Symphony Orchestra Cello Octet to be performed at lyric’s birthday concert in May. Katie Neville’s choral composition is a setting of Michael Coady’s poem Though There Are Torturers, which affirms the power of music in a world of uncertainties. In its 20 years of broadcasting, RTÉ lyric fm has always been about communicating the joy of music to all of its listeners. Whether you are listening on beach in Donegal, on a farm in West Cork, up a mountain in Kerry or in a Dublin café, the music on RTÉ lyric fm transcends the moment. As the Director General of RTÉ, Dee Forbes, said: Since its inception, RTÉ lyric fm has championed the very best in classical music from home and abroad and occupies a unique and cherished place in the lives of its listeners. It is fitting that a station that celebrates both composition and live performance should mark its anniversary by investing in the composition and performance of new Irish works. I look forward to hearing the results, and to celebrating 20 ground-breaking years of RTÉ lyric fm. Reflecting his innovative performances, Ryan Molloy’s compositional work sits at the boundary of contemporary music and traditional Irish music. Ryan’s music has been performed to international audiences on four continents for over fifteen years and has been broadcast internationally on BBC Radio 3 and Radio Ulster, RTÉ lyric fm, Radio 1 and Ráidió na Gaeltachta as well as on BBC 2, UTV and BBC World. Ryan was a BBC Performing Arts Fund Fellow in association with Moving on Music from 2012-2014 and has been a Lecturer in Composition at Maynooth University since 2013. Katie Neville graduated with a 1st class degree from Maynooth University in 2016. Her work as a musician includes teaching, chamber music and composition. Among her most notable ensemble appearances, she was proud to lead the Irish Youth Guitar Orchestra in 2016 during their inaugural tour. Her compositions have been premiered by both student & professional performers, including the wonderful Chamber Choir Ireland and members of the National Symphony Orchestra. Elliot Murphy is a composer, cellist and guitarist currently based in Berlin. He studied composition with Evangelia Rigaki and Donnacha Dennehy at T.C.D. and was the recipient of the Gerard Victory Prize in Composition and the Geoffrey Singleton Prize in Music. Some major passions and preoccupations of his work include aleatoricism, improvisation, the traditional musics of Ireland, Japan, and India, and interdisciplinary collaboration, particularly involving film and the visual arts. Is singing, for no reason.